In light of the announcement that Amazon has purchased Whole Foods in a deal valued at $13.7 billion, there’s no better time than the present to discuss the retail apocalypse. From electronics to apparel to groceries, people are moving their purchasing habits online, and some powerhouse brands are scrambling to catch up. While it’s always sad to witness the end of an era, we’re kind of loving the innovative approach that some of these companies are taking. There are multiple like minded eCommerce companies innovating to dominate the marketplace, and here are some of our favourites over here at KEEN. From makeup to organic snacks, you can pretty much have anything your heart desires delivered to your door monthly. Birchbox was one of the first forays into the subscription box trend. For a flat rate of $10 a month you can have a box of goodies curated to suit your taste delivered right to your doorstep. This subscription model allows customers to discover new beauty products without ever having to step foot into a Sephora again. The luxury beauty department is no longer controlled by department stores as more companies perfect the creature comforts of the product discovery process, with the click of a button. The success of Birchbox has catapulted a viral trend from being able to order personalized activewear from Kate Hudson every month, all the way to having a fresh organic box delivered weekly from the farm of your choice. Remember that formal dress you spent an exorbitant amount on justifying you could wear it more than once so it would be worth it? How many times have you worn it since? If it’s more than once, it’s one more time than most of us have worn our large purchases. Rent the Runway is an eCommerce website that allows women to rent designer apparel and accessories. Essentially you rent designer goods for a fraction of the retail price. Who wouldn’t want that? Say goodbye to the days of hitting up 6 different dress stores to find only one dress you know you definitely can’t afford, and hello to being the best dressed person you know. Rent the Runway has transformed the common retail sell-buy experience to create a space where renting is a large part of the customer retail experience. We would be amiss to talk about companies revolutionizing the retail game without focusing on Amazon. Amazon is only 23 years old, and already positioning itself as one of the most valuable US company’s. In 1997 Amazon introduced 1-click shop and revolutionized the retail game. It removed the need to re-enter your payment information every time you make a purchase, eliminating redundancy. They’ve introduced services like “Prime Wardrobe” – which allows shoppers to try on their selections before purchasing online wardrobe items. We could talk for days about the ways that Amazon has brought innovation to the retail market, and their recent purchase of Whole Foods shows they don’t plan to slow down anytime soon. Don’t be a victim of the retail apocalypse! With traditional brick and mortar retailers such as Ivivva by Lululemon recently announcing the closure of 40 stores to move towards a mainly online business strategy, it is evident that the retail game is changing daily. 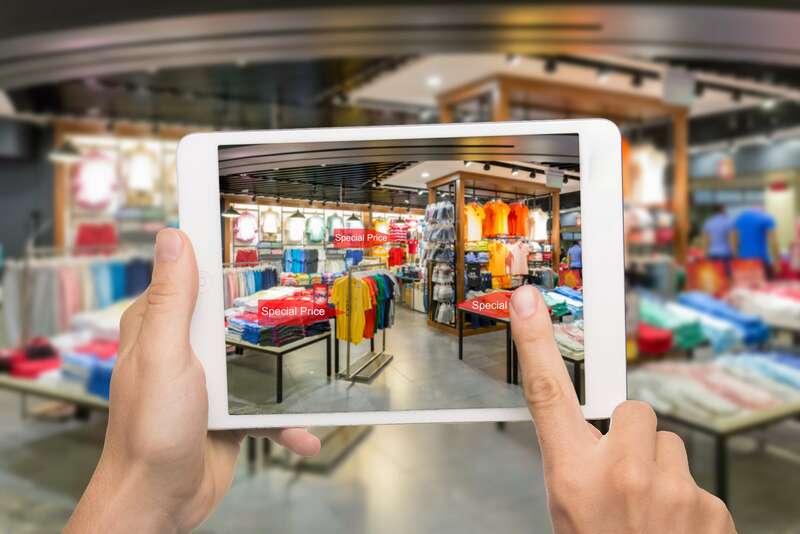 Traditional retail stores can not depend on the longevity and history of their company to survive, but must constantly innovate to compete and flourish in an ever changing industry. Does your business depend on a brick and mortar location? It might be time to shake things up so that you aren’t the next victim of the retail apocalypse. Get in touch if you want to chat about bringing your business into the digital age.